Time poor enthusiasts are going to love this pack. We don't think there is a single car lover who doesn't desire faster and easier to use car care, especially when it comes to waxing. 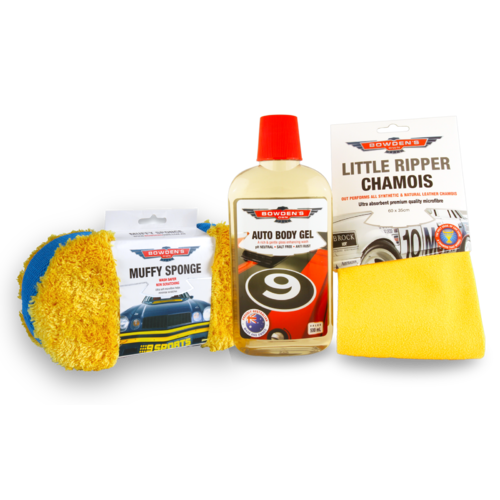 This combo is by far the easiest way to wax your car, giving it a stunning show car shine and the natural protection that carnauba wax offers. 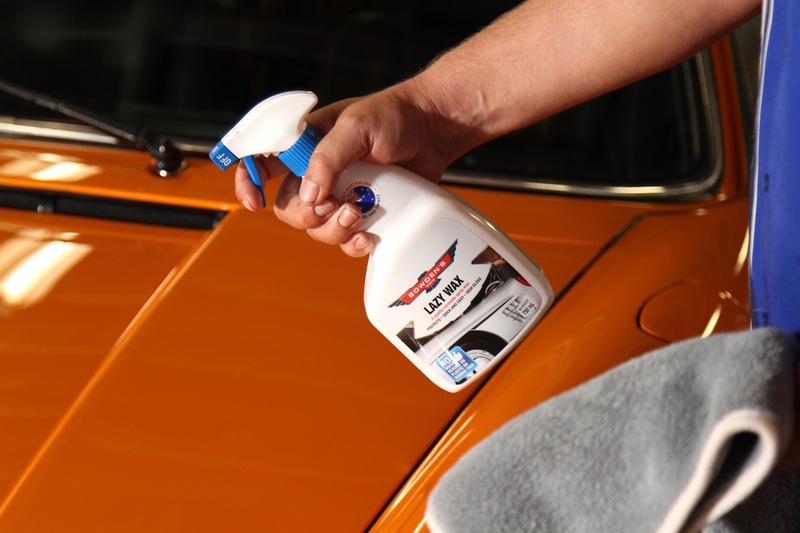 A quality carnauba spray wax that's more naturally formulated, that is an easier option to a paste and liquid carnauba wax. 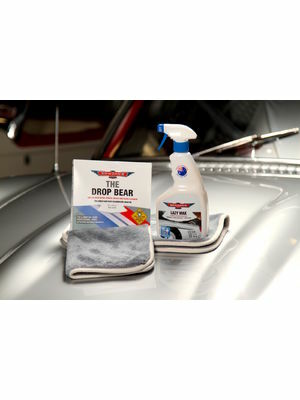 Easy to use, great on dark colours and leaves a beautiful just waxed look and feel to your paint. 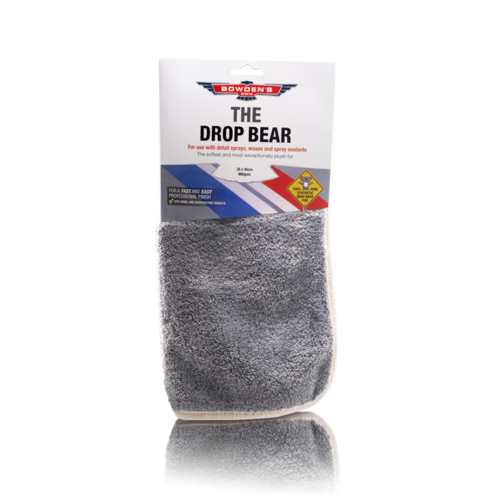 This cloth was made for safe, effective cleaning of delicate surfaces, as it's soft and extra plush material won't create any scratches or swirls . 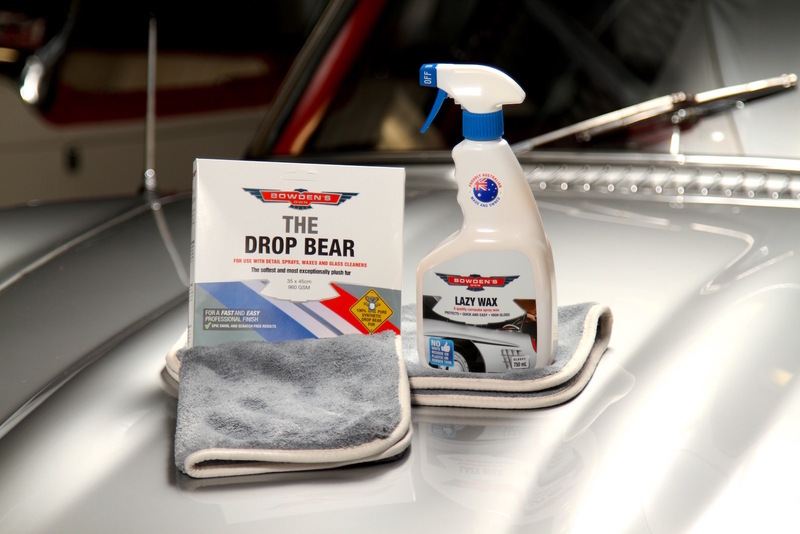 We have two drop bears in this pack, one for application and the other for buffing away the final residue for that perfect finish. Bought a new car and wanted to do the best I could in looking after it both mechanically and cosmetically. I researched car care products and discovered Bowden's range of brews and thought I'd give an Aussie product a try. I'm glad I did because the car is now 8 months old and looks just as good as the day it was driven out of the showroom. I've bought most of Bowden's Own products for both inside and out and like them so far. Not many stores stock them or stock much of a selection and so I usually order directly from Bowdens. 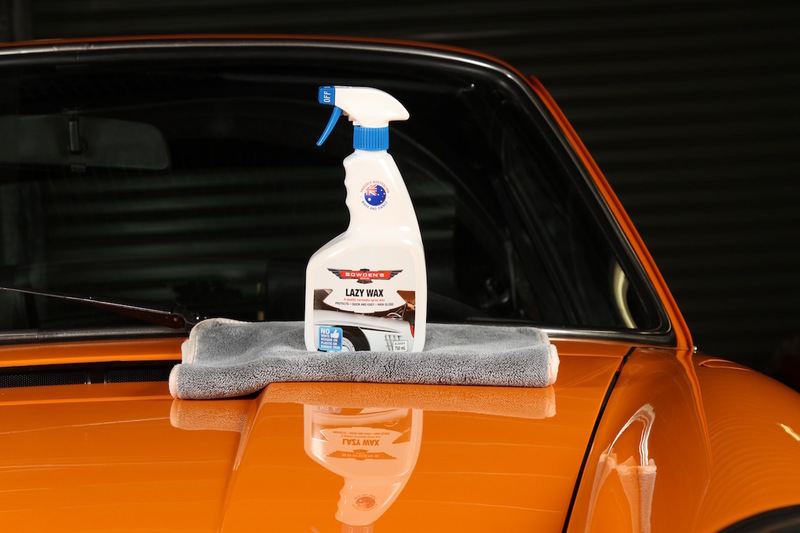 This product the Lazy Wax is simply a matter of a light spray over the panel and wipe in then wipe off in with a fresh, dry microfibre cloth and up comes the finish. It seems a bit wrong to not be rubbing and rubbing the product onto the paintwork and then waiting for that familiar white haze before rubbing and rubbing to remove it. It truly is a lazy way to wax and seems to give the paintwork protection so far. As long as their products seem to be working as well as or better than the overseas owned products I'll keep using Bowdens. The tropical fragrance while you're using some of their products is a pleasant part of the job too.